This will be my last blog post for a iteawhile. President Obama has named me to the U.S. Supreme Court, as a replacement nominee for Judge Merrick Garland, to fill the seat of the late Justice Antonin Scalia. Garland, I’m told, has decided to withdraw his name as a nominee to the Court, in fact of opposition from Senate Republicans. I’m deeply humbled by the confidence that President Obama has shown in me and will do my best to serve my country well. The White House will be released a statement soon, but gave me permission to break the news here. I would like to first thank Judge Garland for his outstanding service to our country. Although I am disappointed that the Senate would not consider Judge Garland’s nomination, I know America will continued to be well served with his tenure on the U.S. Court of Appeals. In his place, I have nominated Attorney Sherwin of Massachusetts. Attorney Sherwin has a long and distinguished career as a Massachusetts litigator and will bring a wealth of experience to the Supreme Court. I am confident that Democrats, Republicans, and Independent alike can agree that he will be a strong addition to the federal judiciary. A recent Boston.com article illustrates the perils of housing discrimination in Massachusetts. The U.S. Department of Justice filed a civil complaint against a North Attleborough apartment complex owner for discriminating against applicants with children. This owner reportedly tried to discourage renters with children from renting one of his apartments. The parties in this case reached a settlement: $135,000 in restitution (and likely a great deal for attorney fees for the apartment owner). Housing discrimination is illegal, both under state and federal law. As this article shows, these laws are enforced. Landlords caught discriminating against potential tenants can face huge fines, even if the alleged discrimination is inadvertent. With this in mind, landlords need to familiarize themselves with the protected classes of persons from discrimination (The Massachusetts Attorney General’s Office has a great summary of these laws). I always recommend that landlords keep a log of all the potential tenants who look at their rental properties, and the specific reasons why the landlord decides to reject an applicant. Landlords who are concerned about asking the wrong questions during the application process should consider using a script and write their questions in advance. While this may sound overkill, the risks of being accused of rental discrimination just isn’t worth it. Earlier this month, several banks filed a federal court lawsuit challenging several Massachusetts city ordinances related to foreclosure prevention. These ordinances, among other things, require lenders to engage in mediation prior to foreclosure and rent to homeowners who have been foreclosed. Foreclosure law in Massachusetts, like the rest of the country, primarily comes from state law. It is unusual for a town or city to pass an ordinance relating to foreclosure, making these laws ripe for legal challenge. This is an important case about whether local government can get involved in foreclosure defense, and will undoubtedly decide the fate of other local efforts to prevent foreclosure. Stay tuned! Yesterday marked the one year anniversary of the Boston Marathon bombing; an event that shook up our city but brought our community together stronger than ever. Boston has been my home for the past four years and not a day goes by where I’m not grateful to call this place my home. Of course, you knew that I would tie this post to law somehow and here it goes: aside from being a great city to live, Boston is, hands down, the best place possible to practice law. We have an amazing legal community filled with with talented, courteous attorneys, bright judges, and an abundance of legal resources, including the fantastic Boston Bar Association and MA Trial Court Law Libraries. Boston is one the few places where fellow attorneys will not hesitate to drop everything and help a fellow attorney or pro se party with a legal question; a favor I am always willing to return for anyone in need of my help. 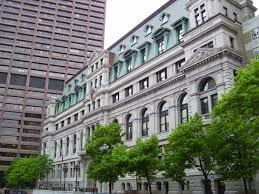 And, is it coincidence that some of the best legal movies took place in Boston? I think not! Best of luck to the participants in this Mondays’ 2014 Boston Marathon. For anyone interested in making a donation to support victims of last year’s Boston Marathon bombing, please visit One Fund Boston.